This is one of the amino acids that promote growth which is derived from arginine. Large quantities of which have successfully raised growth hormone levels in some studies. Bucci, et al, studied the effect of 40, 100 and 170 mg/kg of L-ornithine HCl on 12 bodybuilders. Twenty- five percent of the subjects experienced significant increases in serum growth hormone levels at the two lower doses. In the other hand, half the subjects illustrated an increase in growth hormone at the highest dose. Arginine is an semi-essential amino acid and is present in the proteins of all life forms. It is classified as a conditionally essential or semi-essential amino acid because under normal conditions the body can produce sufficient quantities of amino acid arginine to meet physiological demands. However, in times of stress conditions such as wound healing and trauma, the body might not be able to manufacture enough. In these cases, amino acid arginine becomes essential and is very important to ensure sufficient dietary intake of the amino acid to meet the increased physiological demands shaped by these conditions. Arginine although not an essential amino acid, is a vital one. In addition to contributing in protein synthesis, it plays a number of other important roles in the body. Arginine’s primary function entails the metabolism of proteins and nitrogen. It also detoxifies ammonia formed during nitrogen catabolism of amino acids through the formation of urea. It is also a forerunner in the formation of polyamines, creatine, nitric oxide, proline, glutamate, agmatin, and the arginine-containing tetrapeptide tuftsin which is believed to be an immunomodulator. Arginine is also a glycogenic amino acid. If needed by the body, it can be converted to D-glucose and glycogen or can be catabolized to manufacture biological energy. Arginine when taken in high doses stimulates pituitary release of growth hormones, prolactin and pancreatic release of glucagon and insulin. It is also used as an immunonutrient in parenteral and enteral nutrition to aid improvement of the immune status of those suffering from burns, sepsis, and trauma. Arginine is predominately manufactured in the kidney. It is a main intermediary in the Krebs-Henseleit urea cycle. A much smaller amount of this amino acid is synthesized in the liver. The normal dietary intake of arginine is 3.5 to 5 grams daily and most dietary arginine comes from animal and plant proteins. Arginine of small amounts can be found in vegetable juices and fermented foods, such as yogurt and miso. Plant proteins such as soy proteins and other plant proteins are richer in arginine than animal proteins which are richer in lycine. Arginine can also be found in dairy products, meat, poultry, nuts, fish, and chocolate. Other natural sources of arginine are brown rice, raisins, popcorn, and whole-wheat products. 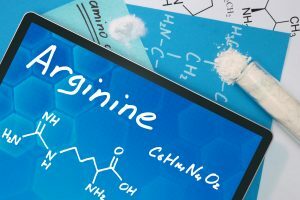 Arginine has a maximum potential in preventing or reducing cardiovascular diseases, by stimulating a compound that relaxes the blood vessels called nitric oxide. It is also used to enhance memory, eliminate depression, improve sleep, control stress, prevent aging, relieve arthritis, manage allergies, promote hair growth, cure impotence, fight cancer, reduce herpes, combat fatigue, and stimulate the immune system. The normal supplemental dosage of arginine per day is 2 to 8 grams. Does L-Arginine Help Muscle Growth? Investigated in numerous studies with conflicting results, this is one of the amino acids that promote growth. Take for example, in one study, 6 subjects were given 6 grams of arginine. They all experienced a 100% increase in plasma levels without any growth hormone release. Other researchers administered it to 12 young and 5 elderly non-obese adults, all of whom had a body mass of less than 30. The subjects participated in three trials: resistive weight-lifting exercise with no placebo, 5 grams of arginine supplementation prior to exercise and 5 grams of oral L-arginine only. Lysine is an essential amino acid which is vital to human health but cannot be synthesized by the human body. This is the reason why amino acid lysine must be obtained from your food diet. Amino acids are the building blocks of proteins and proteins are greatly needed by the body for muscle growth. Lysine plays an important role in the production of a nutrient that is responsible for converting fatty acids into energy and helps lower cholesterol. Lysine also shows to help the body in absorbing and conserving calcium. It also plays a vital role in the formation of collagen, an important substance for the bones and connective tissues that includes the skin, cartilage and tendon. Insufficient lysine in the diet may cause health problems such as kidney stones that may develop other health problems including loss of appetite, nausea, dizziness, fatigue, agitation, slow growth, anemia, reproductive disorders, and bloodshot eyes. However, it is very rare to get insufficient amounts of lysine through the daily diet. Lysine deficiency would normally only apply to vegetarians and certain athletes who are in frequent vigorous exercise. Vegetarians would get the best source of lysine in legumes such as peas, lentils, and beans. In foods such as pastries, cookies, doughnuts, and cereals, the browning reaction involves lysine. In this process of lysine and sugar being combined makes it in a way difficult for the body to absorb lysine, resulting to low lysine intake in cereals and baked goods diet. Good food sources of lysine are those foods rich in protein which includes meat, cheese, nuts, eggs, certain fish, soybeans, fenugreek seed, and spirulina. What Is Lysine Used For? Lysine can be used in the treatment of genital and mouth lesions caused by herpes simplex virus as well as shingles caused by herpes zoster viruses. Lysine supplements taken can speed up recovery time and reduce the possibility of repeated breakouts of the herpes infection. Amino acid lysine also improves the absorption of calcium from the digestive tract and avoids loss of calcium in the urine, which some researchers have speculated that bone loss associated with osteoporosis can be prevented through the help of lysine. 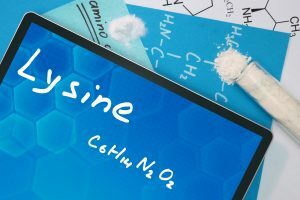 In studies where lysine has been combined with arginine showed that it increases the activity of bone-building cells and improves production of collagen. Some forms of lysine or lysine bound to anti-inflammatory medications may help ease pain following an episiotomy, a medical procedure performed during labor that is a procedure of cutting the vaginal area to enlarge the vaginal opening and facilitate delivery. Lysine of these forms may also relieve painful periods and migraine headaches. Most people need about 1 gram of lysine per day. For athletes and people recovering from major injuries such as burns may be required a greater amount. Does Lysine Promote Muscle Growth? separate consumption of lysine as single nutrients did not significantly increase growth hormone compared to the baseline. In another study of normal young males, oral administration of 1,200 milligrams of L-lysine did not raise serum growth hormone levels. Glycine is a protein amino acid that can be found in the protein of all life forms and is important in the body’s construction of proteins. Glycine is the simplest amino acid in the body that is not optically active. 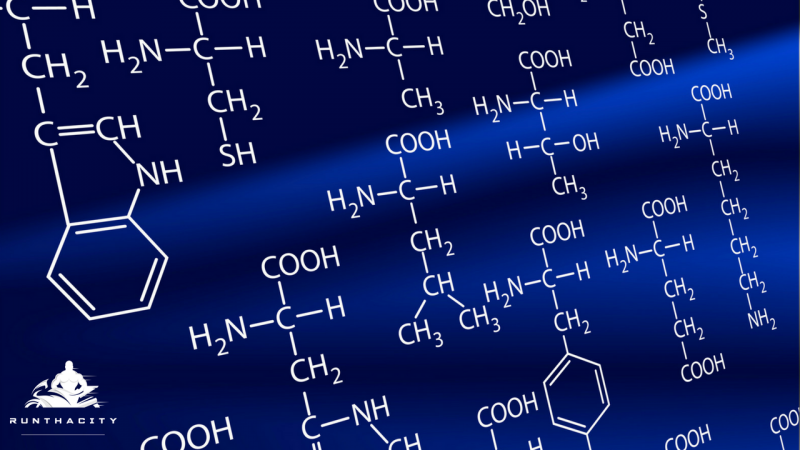 In contrast to other amino acids, glycine can be found in both enzymes and proteins. Although glycine is found mostly in proteins, glycine is also found in plants. It is estimated that the normal diet should include two grams of glycine daily. Since amino acid glycine can be sufficiently produced by the body to meet physiological requirements, it is considered a nonessential amino acid. However, it is of key importance in the synthesis of proteins, purines, peptides, nucleic acids, porphyrins, hemoglobin, creatine, glucose, one-carbon fragments, L-serine, adenosine triphosphate (ATP), and other amino acids. Amino acid Glycine performs as an inhibitory neurotransmitter in the brain and spinal cord. It plays vital roles in the method of prevention for muscular degeneration, repair of damaged tissues located throughout the body, and improvement of glycogen storage. Glycine is an important amino acid because if needed, it will synthesize and convert from serine and threonine to fulfill its physiological processes. Glycine is a solid water-soluble substance that has a sweetish taste and is also known as amino acetic acid, glycocoll, sucre de gelatine, and aminoethanolic acid. Its one-letter abbreviation when spelling out protein structures is G and its IUPAC abbreviation is Gly. Does Glycine Promote Muscle Growth? It may be the non- essentials but this is also one of the amino acids that promote growth. Glycine is contained in gelatin protein and is an important component of collagen. Although much of the early research revolved around its ability to increase strength in athletes, more recent studies have documented that it can indeed raise growth hormone levels in humans. As a matter of fact, researchers have concluded that the explanation why it has been found to increase muscle strength in many studies may be the result of its growth-hormone-boosting capabilities. 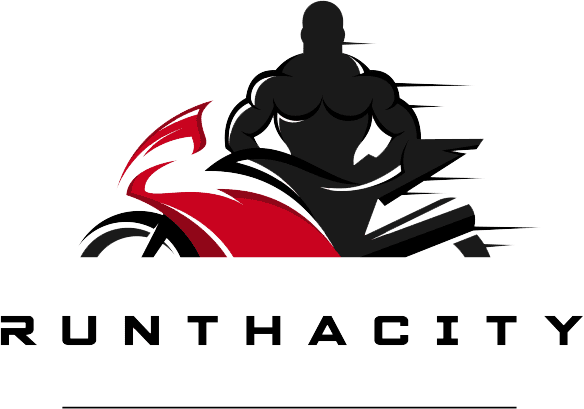 Glutamine is an amino acid that allows for improved immune system and brain function, balanced blood sugar levels, digestive tract health, and increased muscle mass. 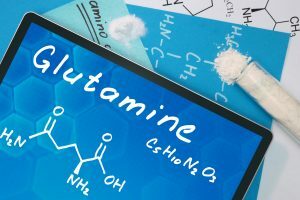 What Is Glutamine Used For? Glutamine is used as fuel for immune system and intestinal cellular replication. Maintaining the proper levels of glutamine supports immune system activity while strengthening the intestinal lining. In addition to this, glutamine is important to replenishing glycogen (stored energy) in muscle tissue, and maintaining muscle mass and strength. Glutamine also plays an important role in maintaining healthy brain function as a source of energy for the nervous system, a key factor in the production of brain neurotransmitters, and an ammonia detoxifier. Does Glutamine Promote Muscle Growth? An abundant protein block- builder, this is one of the amino acids that promote growth. Glutamine is the most copious in human muscle and plasma. 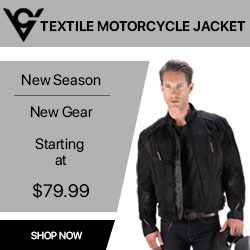 It directly regulates both the production and wearing-down of protein and immune cell activity. When about nine healthy subjects consumed two grams of oral glutamine 45 minutes after a light breakfast, there were eight out of the nine that subjects experienced elevated plasma growth hormone within 90 minutes. These findings demonstrate, the study authors wrote, that a surprisingly small oral glutamine load is capable of elevating hormones for development. So, you want to look like a Herculean champion. To get that kind of body, you need to do more than train. You need to eat like a champ, too. 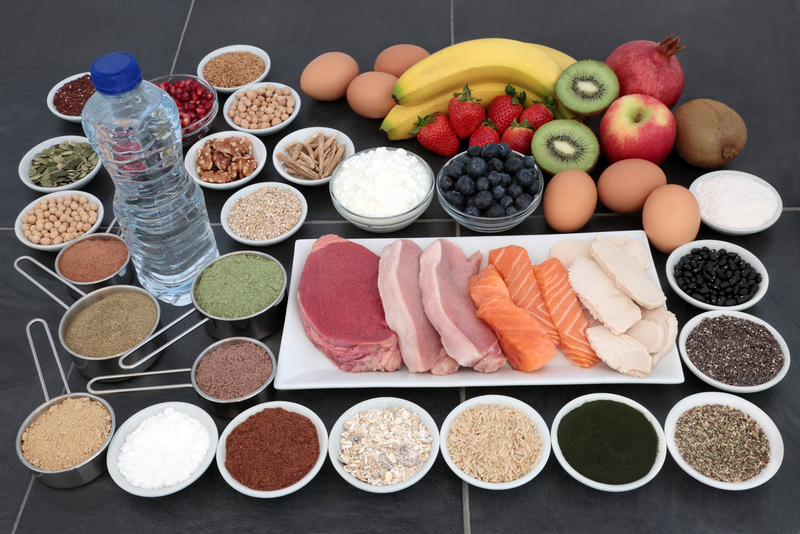 Timing, macronutrients, and supplementation are all key components to a bodybuilding diet. Don’t worry, it’s not as regimented as it sounds. Here’s the breakdown for everything you need to know about creating a bodybuilding diet. 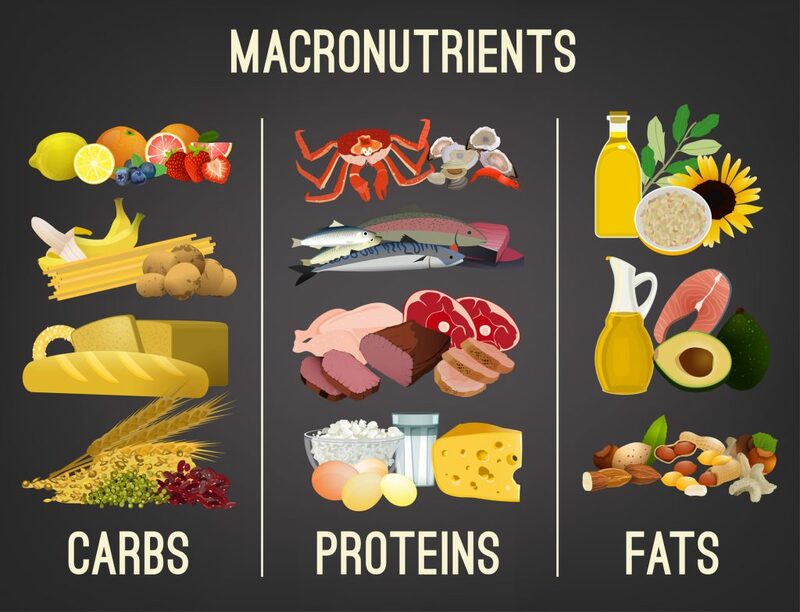 In order to build a bodybuilding diet, you must first understand the concept of macronutrients and how they can either make or break your nutrition. Carbs are fuel that break down into sugars when digested. If you don’t eat the required amount of carbohydrates to fuel activity, your body will feel sluggish. If you eat too many carbs, that sugar gets converted to fat. It’s important to find balance. Carbs are 4 calories per gram. Protein is the most valuable macronutrient for bodybuilders, because it does more than build muscles. Protein helps repair muscles after a workout, and it can prevent catabolism, or the breakdown of muscles overtime. For bodybuilders, you should aim to eat a gram of protein for every pound that you weigh. If you weigh 180 pounds, then you need 180 grams of protein. Some people who are hard gainers will need a little more protein to help their muscles grow. Protein is 4 calories per gram. The body needs fat to survive. In fact, you can’t burn fat without eating it. Though you don’t need as much fat in your bodybuilding diet as you do protein and carbohydrates, fat does deserve a place in your meals. Fat is 9 calories per gram. Knowing the above information, you figure out your ideal macronutrient ratio. For those trying to build muscle, you should aim for 30% protein, 10-20% fat, and 60-65% carbohydrates. If you’re trying to cut fat and gain muscle, cut the carb intake to 35% and up your fat and protein intake. Before you can even start plotting out meals and when to eat, you need to know your daily caloric needs. There is your basal metabolic rate (BMR), which is the calories you burn just breathing and functioning throughout the day. BMR is generally affected by your activity level, height, weight, and age. A 20 year old lean male is going to burn more calories than a 50 year old moderately active male even if they sit on the couch all day. Then, we have your total daily energy expenditure (TDEE), which looks again at age, weight, and activity level as well as body fat. There’s a number of TDEE and BMR calculators online that are very accurate and can help you; but you are going to need to do a body fat measurement first to gain the most correct results from the calculators. You can either do a skin caliper test, or you can use a handheld bio-electrical impedance tool. Using the calculation of your TDEE and BMR, you can then figure out the amount of macronutrients you need for your bodybuilding goal. Let’s say you get 2600 calories for. You then take the macro ratios from above (30% protein, 50% carbs, and 20% fat) to see how many grams you need of each. The best bodies in the world are not built from haphazard nutrition and poorly-timed meals. The standard three-meal plan won’t serve you either. If you want to gain muscle, you go eat maintenance level calories. Everyone’s metabolism is different, based on activity level, body fat and lean body mass. Because of this, two people of the same height and weight can be completely different metabolically and well need different diets. Ideally, you want each meal to be around 30-40g of protein, 50-60g of carbohydrates, and no more than 12g of fat. Meal 5 alone would pack in more than 40 grams of protein and about 60 grams of carbohydrates. Meals 1, 3, and 5 are generally your bigger meals (larger portions). You can eat smaller meals or drink protein shakes for means 2, 4 and 6. The important thing to take away from this sample meal plan is that you are going to want meals that digest quickly before a workout. You will want to eat carbohydrate-rich foods that are low in fat, because fat can slow digestion. After a workout, you can eat a meal or drink a protein shake to shuttle nutrients directly to the muscles that will need repair. 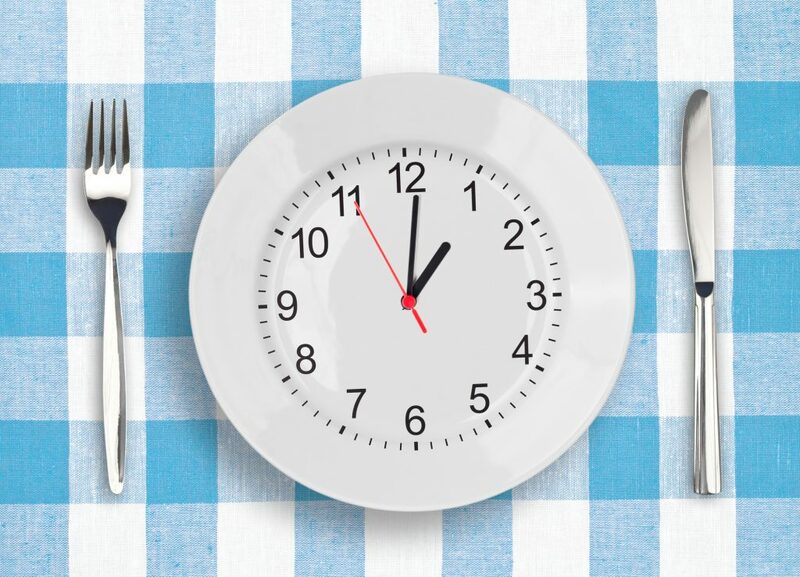 If you don’t have time to eat meals before a workout, or you have a schedule that doesn’t allow you to eat a meal beforehand, you can use creatine shakes, granola bars, and other options to give yourself some fuel. All in all, getting the perfect body is not rocket science, but it does come close! You need to be diligent, especially when it comes to your diet. Training and dieting go hand-in-hand when it comes to bodybuilding. Remember to first calculate your daily caloric needs then figure out how much more you need to put on muscle. From there, it’s all about the timing and the planning! 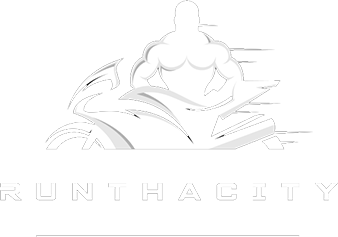 Don’t forget to subscribe to my YouTube channel for more information about bodybuilding, nutrition, and fitness. What Is Amino Acid Therapy? The contribution in the development of cerebral palsy focuses on potentially modifiable factors during the neonatal period. Studies revealed that it has something to do with the excitable protein building blocks and their role in neurological injury. In preventing the permanent deficit of having cerebral palsy, amino acid therapy is a method of treating brain damage and early abnormality. This was created by Professor Alexander Khokhlov from Russia who is teaching biochemistry and nuerology. He also has other clinics in Cyrpus, Czech Republic, London and New Zealand. This consists of the intravenous administration of one or more essential protein building blocks. It was performed on 84 patients that went through treatment from February 1994 to February 1996. About 39 received two courses, 20 had three sessions, 9 took four, 9 received five courses, 6 had six sessions and 1 took seven. Accordingly, a percentage of more than 50 patients were given 3 or more courses. Neurotransmitters are important chemical messengers which regulate functions in the brain, muscles, organs and nerves. Serotonin, dopamine, neropinephrine and epinephrine are the most common of its type. People that have the neurotransmitter deficiency can have the following conditions depression, chronic fatigue, insomnia, attention deficit, anxiety, panic attacks and many more. With the application of the amino acid therapy it has helped those who are agonizing such situations. Treatments include taking SSRI or selective serotonin re- uptake inhibitors and other prescribed drugs such as Prozac, Zoloft, Effexor, Celexa or Wellbutrin. It functions by artificially accelerating the amount of serotonin in the synapse of the nerve. This allows a temporary recovery in the chemical messaging system. The downside however, is that it does not increase serotonin levels and diminishes the stocks of NT. It happens because the SSRI class drugs bring about an augment in an enzyme called MAO. Developed by Angelo John, a cancer scientist, he researched the role of the protein block- builders in the cancer cells. Afterwhich, he determined how it can be altered to eliminate to cause its death. Thus, his objective is to strategically and scientifically utilize the chemical reactions and supplemental responses by interfering with the five basic prerequisites namely structure, blood vessels, energy, growth hormones and functions. Amino acid therapy works synergistically with both chemotherapy and radiotherapy. It hinders the rise of tumors and causes them to retreat. It is a six to eight month course administered to under the care of your doctor and just inside the comforts of your home. There was a study done by Dr. Marco Rabinovitz of the National Cancer Institute where it showed that deprivation of the protein block- builders is beneficial in healing cancer. Such is an example that consists of scintifically formulated amino acids. In the otherhand, Dr. Chi Van Dang of John Hopkins School of Medicine stated that cancer cells are sugar junkies that if robbed of glucose, they will eventually pass away. What Is The Best Detox Diet To Lose Weight? In today’s environment and majority of lifestyles, it’s hard to avoid coming across substances and chemicals that are foreign to our system. In defense, our body reacts in remarkable ways to protect itself from intruders. Normally, it’s the excretory organs like the liver, kidneys, skin, including the lungs that need to work extra hard to segregate, neutralize and dispose the toxins. But it’s easier said than done. Toxins that accumulate in every cell of our body will cause the latter to release some form of chemicals (take the effects of nicotine in our brain) or gradually mutate into cancers and other degenerative diseases. How Long Should I Detox For Weight Loss? And, we can never take back what we took in. However, changing lifestyles and going on detox programs can do wonders for the proper functioning of vital body processes. Detoxification promotes cell renewal, flushes out free radicals, and strengthens the immune system. Even as short as a 3-day detox diet can help in purging out damaging toxins and make you feel so much better. Although not all detox types are suitable for everyone, a 3-day detox may be a milder way of detoxifying. Other detox programs may require you to get a go-signal from your doctor especially if you are underweight, malnourished or have chronic diseases like cancer, iron-deficiency, anemia, ulcerative colitis, kidney and liver disease, among others. To begin with, this detox program is especially designed for a 3-day detox diet. Try to include the following foods for each day within three days. 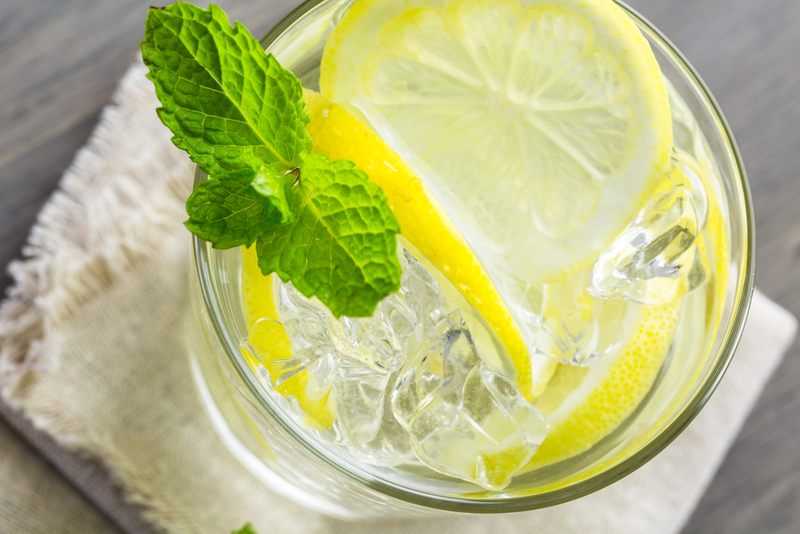 Upon waking up in the morning, drink a cup of warm water and ½ lemon squeezed in it to stimulate your gastric juices. For your meals, eat one cup of whole grains like brown rice, buckwheat, amaranth, and at least three servings each of fruits and vegetables one of which should be eaten raw. You could also make salads out of fruits and vegetables but choose vinegar or any natural virgin oils (olive and coconut virgin oils or fish oil) for your dressing. In addition, have two doses of kidney and liver tonics over the 3-day detox diet: two cups of dandelion, chamomile or fennel tea, pure vegetable juice like carrot or beetroot, a clove of fresh garlic, medium bunch of black grapes, two cups of parsley or yellow tea. And make it a habit to drink 8 glasses or more water as well as other fluids made of fresh fruit juices such as apple and orange. In your 3-day detox diet, drink herbal tea before going to bed and have a 30-minute walk within the program period. After the third day, you’ll surely feel rejuvenated and may want to do the 3-day detox diet again. But before you do that, change your lifestyle as much as possible. Your body will reward you big time. The air, the processed foods we eat, smoking, alcoholic drinks – all of these and more highly contribute to the amount of toxins we consume everyday. It’s hard to imagine that almost anything present in modern societies are and will take a toll on our health eventually. These substances are either metabolized in the liver or enter the bloodstream and stress our system. 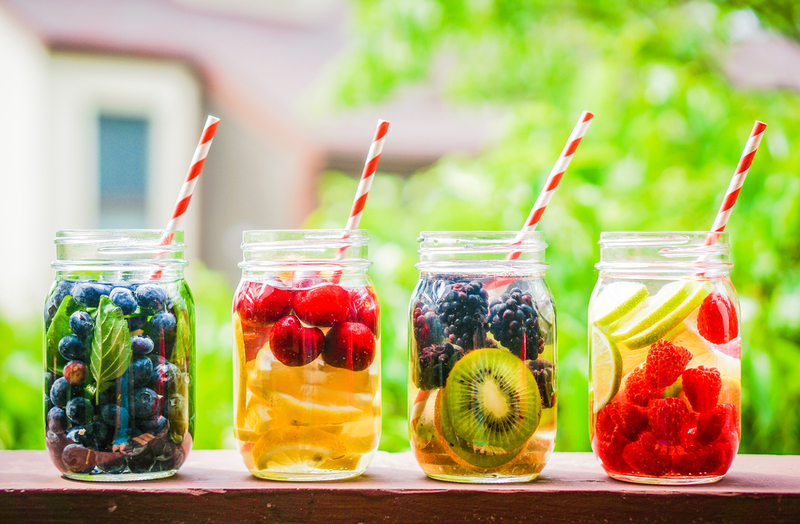 In that case, this 7-day detox diet can help you rid of the unwanted substances and make you feel better. 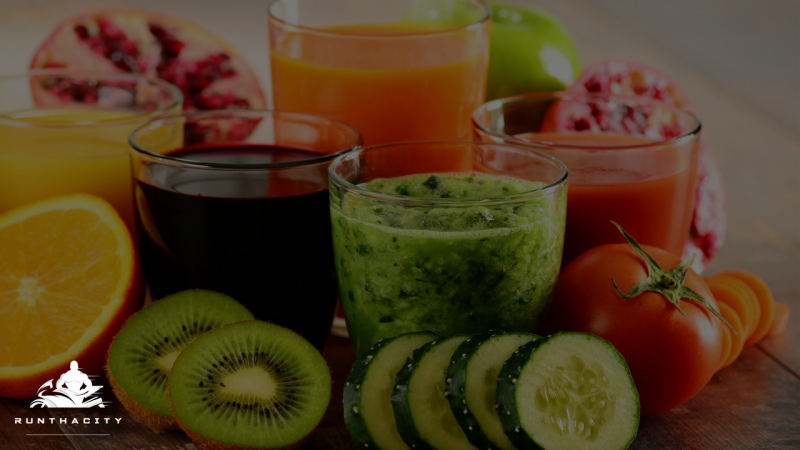 Detoxification or detox provides a relief to your system from these harmful substances we regularly consume and it likewise puts your eating habits on the right track. You’ll find that you’ll feel less fatigued, invigorated, revitalized, and the bloated feeling will go away once you skip your intake of such ingredients like refined flour, sugar, caffeine, alcohol, canned food, etc., that more or less confuse your organs. The key to a successful 7-day detox diet program is to motivate yourself. In short, detox requires psychological, emotional, and physiological preparedness. However, this 7-day detox program is contraindicated to people with chronic disease, and pregnant and lactating women. Remind yourself to follow this meal plan every day of your 7-day detox diet program and make sure you chew your food thoroughly, so as to give you time and feel less deprived. Start your day by drinking two glasses (8 ounces) of distilled water upon waking up. Squeeze ½ lemon into one glass of water. The reason is to stimulate your digestive juices as well as make a goal of drinking six more glasses for the whole day. For breakfast, eat any fresh fruit 15 to 30 minutes before your whole grains like buckwheat, brown rice, millet, amaranth, or quinoa. To add some flavor to your grains, add in 2 tablespoons or 100% pure fruit juice, virgin oil (olive or coconut) or butter. Supplement your 7-day detox diet meal with the recommended 200 to 400 IU of natural vitamin E and 100 to 200 mcg of selenium. These contain anti-oxidants that help fight the free radicals in your system. 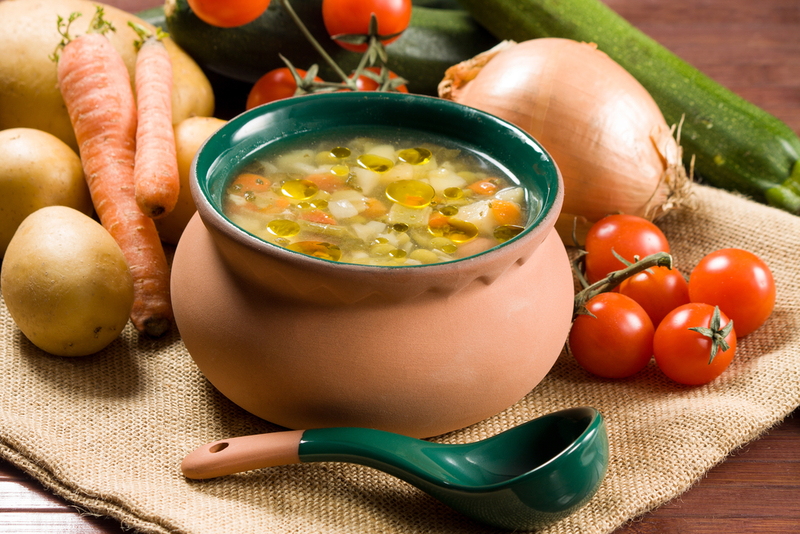 For midmorning snack, sip 1 to 2 cups of vegetable broth left over from steaming your vegetables. Season it with a little salt. And then take 500 to 1,000 mg of vitamin C, ideally with calcium and magnesium. When choosing a brand, make sure it doesn’t contain artificial sweeteners or sugar. Eat steamed vegetables for lunchtime. Again, save the water left by steaming and refrigerate it. You can also do the same for dinner. At least four vegetables would suffice to give you varied flavors and textures. Are you in for a 21-day detox diet program? Well, make sure you’re ready for such a stringent diet of fruits, vegetables, whole grains, and lots of fluid. Otherwise, you may end up exasperated of not being able to complete the whole program and treat yourself instead to more junk food. That’s right. Getting into a 21-day detox diet is never easy. Any person who wishes to undergo this program should be emotionally, physically, and mentally prepared. Changing your eating habits may also mean changing your lifestyle. There are several 21-day detox diet programs. So how do you know which ones to choose? First, like any other detox programs, have yourself assessed by a health professional. People with problems in kidneys, liver, heart, pancreas, parathyroid, and other preexisting disorders may not be allowed to undergo a detox diet program. Some 21-day detox diet programs include workshops on food preparation, group support, nutritional medicine, enzyme theory, therapeutic fasting, colon care, energy medicine, acid/alkaline testing, and healthy shopping. The program may be separated into 3 parts and on a weekly basis. 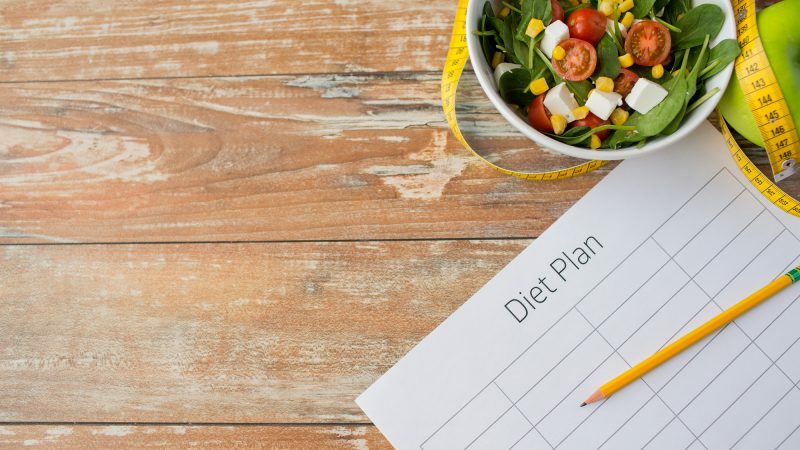 For instance, some 21-day detox diet programs may focus on fruits and vegetables to acclimatize the body on eating only these foods for the first week. This plant-based diet encourages participants to steer away from animal products to lessen the amount of toxin exposures by as much as 50%. A menu is required in order for participants to strictly follow the program. In the second week, you may proceed with a live-food diet, eating only uncooked foods and two smoothie meals (blended), minimizing the stress placed on your digestive system. You will be provided with an organic live-food menu. The purpose is to keep you away from processed foods and increase your nutrient intake by eating uncooked vegetables. Week 3 of a 21-day detox diet program is the liquid diet. This is supposed to relieve your digestive of any stresses and ensure healing at intra-cellular level. Your diet will be diverted from a whole plant-based diet to blended food. Of course, the benefits of a liquid diet will definitely be discussed to psychologically support you. It is also helpful to support this program with application of reflexology, meditation, yoga, and light therapy, as well as the chakra system as a tool in healing. 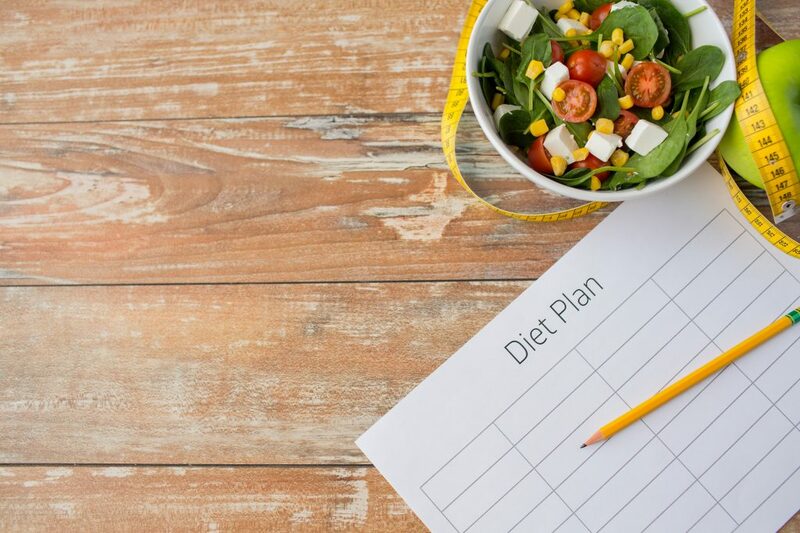 The final stage of a 21-day detox diet program includes hints and shopping guides for you to maintain in this frame of mind… and diet.